Hamilton May presents a two bedroom apartment available for rent, located on the third floor of a residential building in the Żoliborz district. Hamilton May has is pleased to present a high standard apartment, located in the green area of Zoliborz, in the proximity of a Kępa Potocka. Hamilton May presents a unique, two-room flat available for rent located in a well-connected part of Żoliborz. Hamilton May is pleased to present a new family apartment offered for rent. Hamilton May presents a luxurious penthouse located on the top two levels of a discreet development in Old Żoliborz. 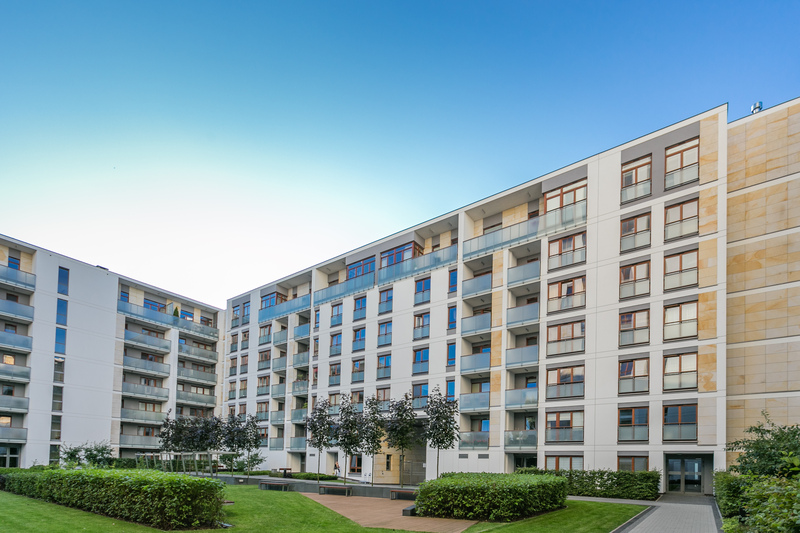 Hamilton May presents current listings of houses and apartments available for rent in Żoliborz district in Warsaw. Żoliborz, bordering City Centre on the North, is a green and quiet residential region. It is the smallest district in Warsaw, and over 50% of its buildings are single family houses and villas. Almost 1/3 of Żoliborz consists of green areas. Among them are: Powązki cementery, Kaskada park, Żeromskiego park, Kępa Potocka, Sady Żoliborskie and remnants of the Warsaw Fortress. Zoliborz is a perfect living place for families with children. It is often chosen by high-level business professionals, who move to Poland along with their family. More than half of buildings in Żoliborz are houses and villas. It is a perfect oportunity for families to live near the City Centre, while being surrounded by greenery at the same time. Żoliborz also consists of blocks of flats for 60's and 70's, but in recent years many modern developments have been constructed. They present high quality and standard, being a good alternative for Zoliborz Houses. Average rental prices vary from 2500-4500 PLN, depending on size and exact location. Hamilton May mainly deals with apartments in new investmens.